According to Winter, the JSF’s programme executive officer, the aircraft’s costs are unsustainable as the fleet grows. Such a statement has severe repercussions: the US military expects to increase the fleet from 280 aircraft today to more than 800 over the next five years. If it cannot afford the bill to operate the F-35 in 2022, the Pentagon could be forced to slow procurement. As the production ramp-up slows, planned manufacturing efficiencies will be lost, further increasing costs. It is the familiar “death spiral” of defence acquisition, in which unaffordability leads to lower production volumes, causing costs to rise still further. Winter’s office is now attempting to intervene. Its strategy covers a broad set of targets. 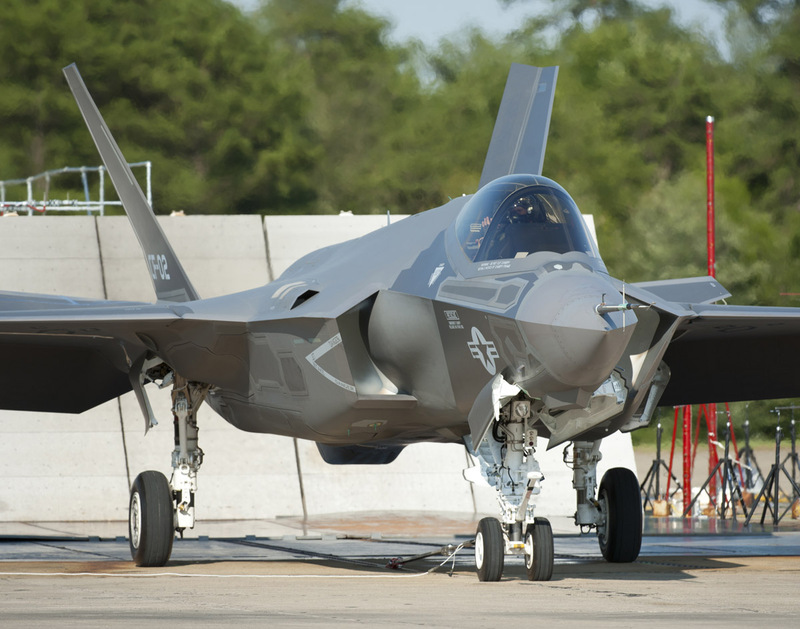 Nearly 200 F-35s delivered before the ninth lot of low-rate initial production must be upgraded to the latest software standard. Lockheed must resolve issues with its maintenance alerting system, and the US government is helping industry fix a chronic and costly spare parts shortage. This has been a recurring talking point lately. I wonder if those early in the program, like General Amos who said this is a die in the ditch program and others that said there is no plan "B", understood what they were doing by putting the air supremacy of the West in the hands of a corporation that has more allegiance to its shareholders than it does to the country or alliance? I don't see these problems being ironed out before they make the call for full rate production. Which means that mistake jets will be what our services and other countries are getting. That means hanger queens which means that we will cut our buy (I can see that happening anyway...sequestration is coming back...it almost has to due to the Trump tax cuts mixed with our deficit) of the airplanes which will start that death spiral Flightglobal talks about. While Flightglobal is optimistic I see nothing in Lockheed Martins past behavior to justify that. If anything it seems as if they've already reached the bottom line cost of the airplane and I get the feeling that they will resist going any lower for any reason. With a looming trade war on the horizon, sequestration coming back, our deficit, the need to fund infrastructure...and a Congress that has trouble making even simple deals, I just don't see how this works. The dream of almost 2500 F-35's for the Air Force is just that ... a dream. I imagine we'll see the same with a number of other aviation programs. They're getting just too damn expensive for anyone, to include the US, to afford.